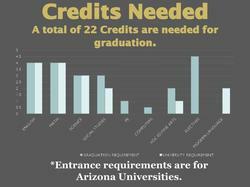 What classes do I need to be accepted into an Arizona university? 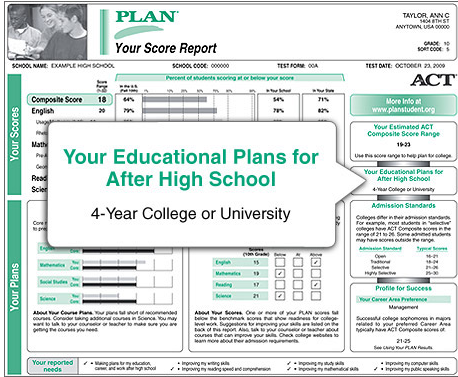 As a tenth grader, you can take the PLAN at your high school to assess your academic skills. The PLAN provides you the opportunity to practice for the ACT entrance exam that you should take in your junior or senior year if you plan to attend college. PLAN includes a questionnaire to provide you with guidance on your educational plans after high school and career exploration. You can also take the Preliminary Scholastic Aptitude Test (PSAT), which is a shorter version of the SAT, the other big college admissions exam. Don't feel obligated to take either "P" (Preliminary) test; however, if you do take one, don't fret over the results as they are not passed on to colleges. They do serve to familiarize you with sample questions. Students that take the PLAN or PSAT can begin receiving information from colleges. ​Start your year off right by talking with your guidance counselor about the year ahead. Confirm that your courses will put you on the right track for college admission. Be sure to ask about test dates for the PSAT, ACT, and SAT. You’ll need to register up to six weeks ahead of time. ​Starting developing a résumé—a record of your accomplishments, activities, and work experiences. This will be an important part of your college application. If you haven’t participated in many activities outside of class, now is the time to sign up. Consider clubs at schools, team sports, leadership roles, or involvement in your religious or civic community group. Take the PSAT. Taking the test as a junior will qualify you for some scholarship consideration and identify you to colleges as a potential applicant. When you receive the results (usually in December), review them to learn more about your strengths and weaknesses. Discuss the results with your family and school counselor. Begin to prepare for the ACT or SAT. Free test preparation may be available at your school, your local community colleges, and community based programs; in addition, there are many free resources on the Internet. If you can’t find the best Web sites, ask your counselor. You should plan to take at least one of these tests in the spring and again next fall during your senior year. Ask your counselor if you qualify for a fee waiver. Meet with your guidance counselor again to develop your senior schedule. Make sure that you will be enrolled in the most challenging courses for which you are qualified. Register for a spring offering of the SAT and/or ACT. Ask your counselor if you should take an SAT Subject Test this spring. Ask your counselor about summer opportunities on college campuses. These can be a great way to find out what college life is all about and make you a more attractive candidate for admission to colleges. Begin taking a more serious look at colleges and universities. Make a file for each college in which you are interested and gather information about academics, financial aid, and campus life. 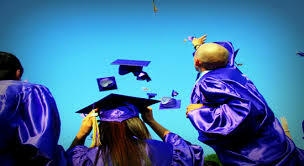 Go to college fairs and open houses and learn as much as you can about colleges online. Develop a preliminary list of colleges that interest you. Write or email to request a viewbook and additional information. Think about lining up a summer job, internship or co-op. Make a list of teachers, counselors, employers, and other adults whom you might ask to write letters of recommendation for your college applications. Begin thinking about your applications. Generally, colleges will have their applications online by the beginning of August. Work on the essay before you return to school! It’s been a long journey through high school and to college. Enjoy your summer. Summer jobs can help pay some of your college expenses and give you great career preparation. Make a list of what you will need to take with you for your dorm room. The suggested list of items, room and furniture dimensions and many other questions can usually be answered by visiting your college’s website and searching under “Housing” or “Residence Life” for further information. You will most likely get a roommate assignment from your college. Call, write or email to get acquainted in advance. In your conversations and communication, you should be able to figure out who will bring what for your room. Some colleges will offer a summer orientation/registration. Make sure to attend to meet fellow students and other important people on campus and to familiarize yourself with your new school. This is often the time you sign up for your fall courses.